Here’s a fun shot from a recent visit to Fisherman’s Wharf in San Francisco with my photo buddy Doug Kaye. We were walking along outside where for as many years as I can remember they sell these shrimp cocktails, fresh crab, sourdough bread bowls with soup inside, and more! It’s quite a marketplace in action and fun to just stand and watch. 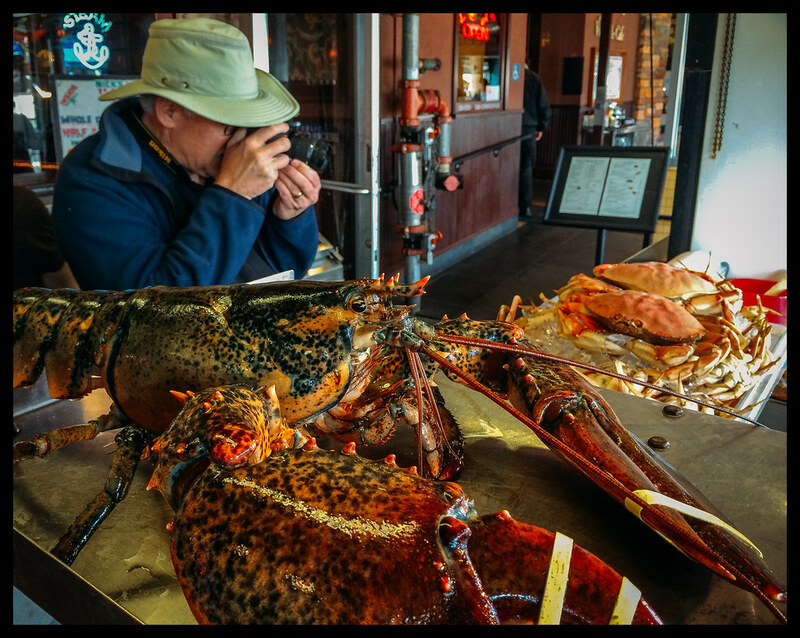 One of the stands had this really big lobster – and I caught this image of Doug shooting the crab while I focused on the lobster’s eye. Shot with a Fujifilm X-E2 and processed in Lightroom 5 using VSCO Film 05.